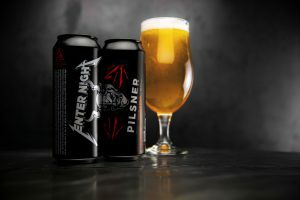 Previously launched in the US, Metallica and Stone Brewing’s Arrogant Consortia imprint start distributing Enter Night Pilsner to Europe. The dry-hopped Pilsner brewed at Stone Brewing in Berlin is currently available in over 30 countries in Europe. The hop flavoured beer is the consequence of an authentic creative spark between two entities that became international forces of nature in their respective worlds, yet came from the fringes. Enter Night Pilsner is said to combine the excellence of a traditional Northern German Pilsner with modern overtones of aggression. 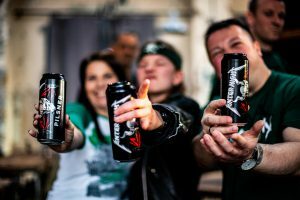 However, this isn’t Metallica’s first venture into the world of brewing – in 2018, they released the whisky brand, Blackened, in collaboration with the prominent distiller Dave Pickerell. Metallica will kick off their impending European tour this May 1st, click here for the details.